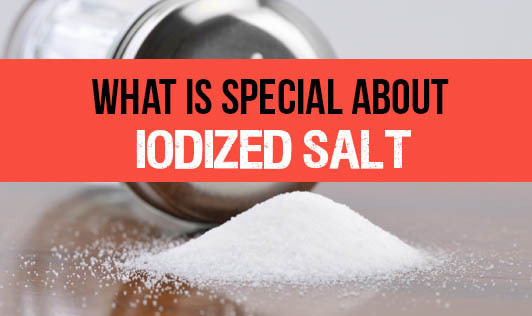 What Is Special About Iodized Salt? Iodized salt is the table salt fortified with a minute amount of various iodine-containing salts. The ingestion of iodide prevents iodine deficiency. Worldwide, iodine deficiency affects about two billion people and it is the leading preventable cause of mental retardation. Iodine also has an impact on the health of the thyroid gland. 1. Iodized salt helps to prevent impaired mental function in children and adults. 2. It helps in prevention of hypothyroidism, goiter, impaired thyroid function, abnormal weight gain and other thyroid problems. 3. Salt containing iodine also helps to prevent stillbirths, miscarriages, abortions and congenital growth abnormalities. 4. Iodized salt prevents disorders like cretinism, stunted growth, apathy and other impaired movements. 5. Having adequate amounts of iodine through the medium of iodized salt, assists in the various processes of metabolism in the body. This variety of salt is easily available in the market; if you have a requirement for iodized salt, just look out for it in the supermarkets. . Check with your doctor or dietitian whether you need to switch from regular salt to iodized salt. And also make sure you use the right quantity!